RambleFest displays Dedham Vale guidebooks and maps, and provides the facility for buying them online. On the Suffolk-Essex border, Dedham Vale AONB protects an exceptional example of a lowland river valley. Undulating slopes fall gently to the slow-flowing, meandering River Stour and in its hedged water meadows, copses and riverbank willows, the landscape is perhaps the epitome of the farmed English countryside. It has an extraordinary range of different scales and special features giving rise to distinctive landscape characters – rolling fields on the valley slopes, lush and sheltered valley-floor meadows and open marshes and intimate tributary valleys. Its pastoral scenes are world famous as the settings used by the artist Constable, and Flatford Mill and picturesque Dedham retain an unspoilt quality, despite their summer visitor onslaught. See also our Essex and Suffolk pages. 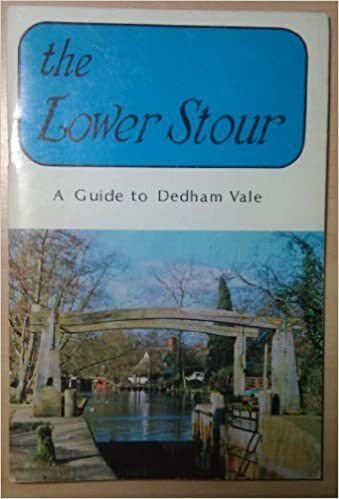 The Dedham Vale and Stour Valley Project produce guides, and have much info. We display two books. Although out of print, they may be available through third-parties. The Ordnance Survey `Explorer’ map covering the area is available in standard quality, and the all-weather type is also available. We welcome updates and info.